DeKalb Alternative School's faculty and students donated over 2500 diapers and supplies to the victims of Hurricane Harvey. The Diaper Drive was spear-headed by Principal Margie Smith and supported by 100% of the building's staff. 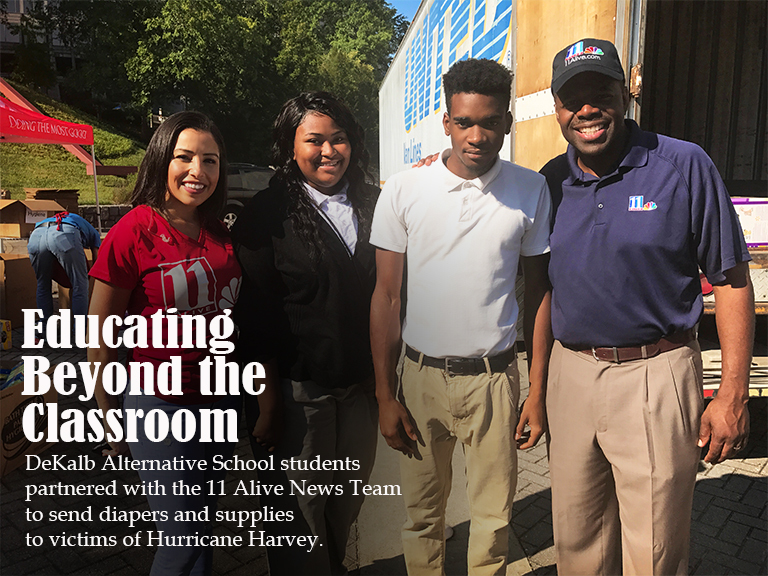 Students shared in the opportunity to engage with community stakeholders by delivering the diapers to the Woodruff Arts Center, where the 11 Alive News Team loaded and drove the supplies to the city of Houston.